Having a swimming pool in your backyard is like a dream come true; at least until you have to scrub algae and vacuum leaves, dirt, and dust. Not only this is time-consuming, but it’s also exhausting and boring. However, the robotic pool cleaner can make your life significantly easier. 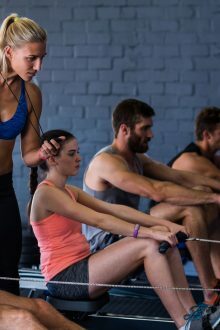 It will do most of this mundane work for you, so you will have more time to swim and enjoy your pool. With this robotic friend by your side, the real fun can start! We bring you best robotic pool cleaner reviews and a buying guide to help you dive into a clean, underwater world. Stick with us. What makes a good robotic swimming pool vacuum? Here we have 7 robotic pool cleaner reviews so everyone can find their best fit. Read on to find out the good and the bad of some of the best pool cleaners out there. The Dolphin Nautilus CC Plus is reliable and will last for years to come, giving you convenience and high performance all along (and peace of mind with a 24-month limited warranty). With an upgraded design, the Dolphin Nautilus CC Plus does a darn good job of cleaning dust, algae, leaves, bugs, and other types of debris from a swimming pool. This model is upgraded, featuring CleverClean Technology – software that enables scanning the shape and size of your pool. 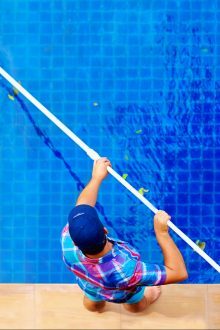 The pool cleaner will memorize this information and find the best way to clean the pool. This means that your pool will be cleaned the best this unit can clean it – every single time, and it will take about 2.5 hours to do that. The Suction rate of 4,233 gallons per hour makes the Nautilus CC Plus suitable for in-ground pools that are a 50-foot-long. This online calculator will help you find out the volume of your pool. The feature that we adore about this unit is the weekly timer function. You can set the Nautilus to work on a regular weekly basis. So, even if you forgot about pool cleaning, your robotic friend didn’t. The navigation system called Active Scrubbing Brush is another feature worth mentioning. 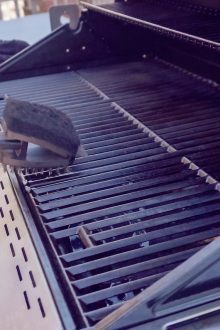 Spinning two times faster and with more friction (compared to similar models), the brush will scrub dust, tough dirt, and debris without any problem. And there are fine and ultra-fine filters to catch all that so you have a clean and safe swimming pool all summer long. The filter basket is placed on top for a quick change. One of the major problems with robotic pool cleaners is cable tangling. Models that don’t have a swivel cable are a pain to use since you have to keep untangling the cable. Well, this is exactly what the team at Dolphin wanted to fix. The Dolphin Nautilus features a patented swivel cable that spins and rotates at a full 360 degrees and follows the robot’s movement. So, no more tangling. 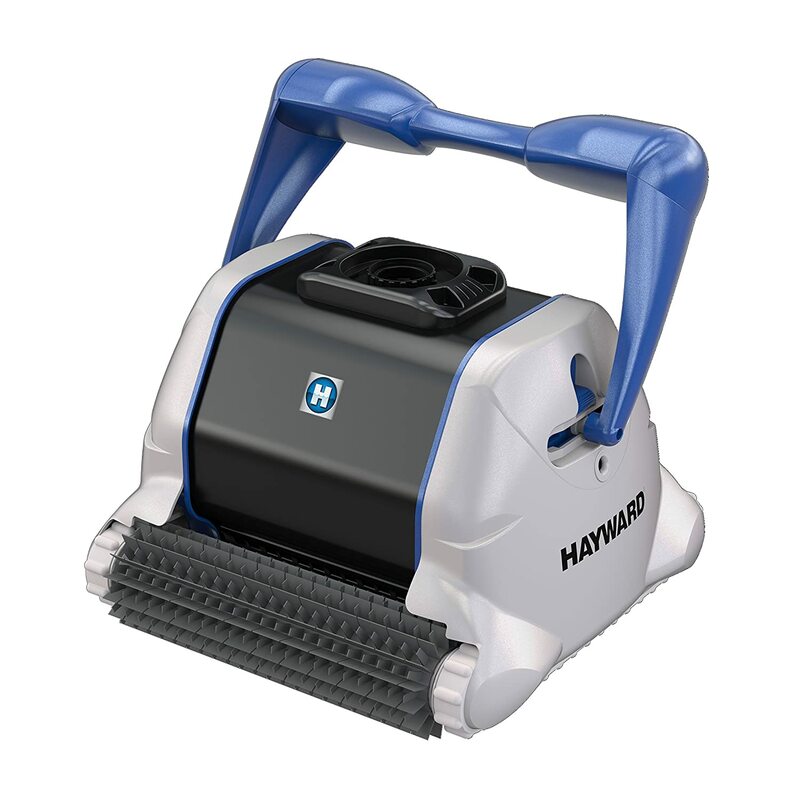 This model is one of the best robotic pool cleaners in 2019 and can clean pools of different shapes and sizes, as well as handle different pool surfaces. While it has a great wall-climbing ability, the cleaner struggles to clean the slopes between the walls and floor, and can also leave dirt and leaves behind when cleaning the stairs. The Dolphin Premier is a pool cleaner that ensures thorough cleaning and leaves the water cleaner. If you’re comfortable with spending a fortune on a pool cleaner, then this one may be worth your attention. The Dolphin Premier is an in-ground pool cleaner that leaves nothing to chance. Equipped with innovative features, this unit cleans a pool from the bottom to the top. It’s safe to say that this is the best Dolphin model. The pool cleaner features 24- volt DC motors which means it runs on just 180 watts and costs only 5 cents per hour. Add to that the Multi-Media filtration system that allows you to collect algae, a bunch of leaves, and dust, and you get an energy efficient pool cleaner that won’t sacrifice the cleaning performance. Thanks to its energy efficiency, this pool cleaner can work every day, keeping your pool pristine clear. Dual scrubbing brushes ensure the pool surface is thoroughly cleaned, eliminating dirt, dust, and debris for you. The Premier can reach every corner and curve of your pool, and also climb the walls. Nonetheless, it can leave a few spots occasionally, but so can any other robotic pool cleaner on the market. Similar to the Dolphin we reviewed above, this one also cleans a pool in a carefully planned way. Smart-Nav software lets the Premier scan your pool and determine the optimal pattern for faster cleaning. The Premier is a versatile pool cleaner, being suitable for all kinds of pool surfaces – tile, gunite, fiberglass, vinyl, and concrete. This particular model is designed for pools up to 55 feet in length. A top-notch pool cleaner like this one should make cleaning hassle-free for you, right? Well, that’s exactly what the Premier does. Patented 360° swivel cable prevents tangling and allows the robot to focus on a task at hand. The Dolphin Premier makes maintaining a pool clean and fresh significantly easier for you. However, this unit is very expensive considering it doesn’t offer more advanced features or included accessories (such as a remote control and a caddy) that one would expect in this price range. In addition, the instructions are terrible and insufficient. They don’t give details on how to set up the unit so it can climb the walls, how to use the timer, etc. For the price, you would think that the manufacturer will be generous enough to explain this. 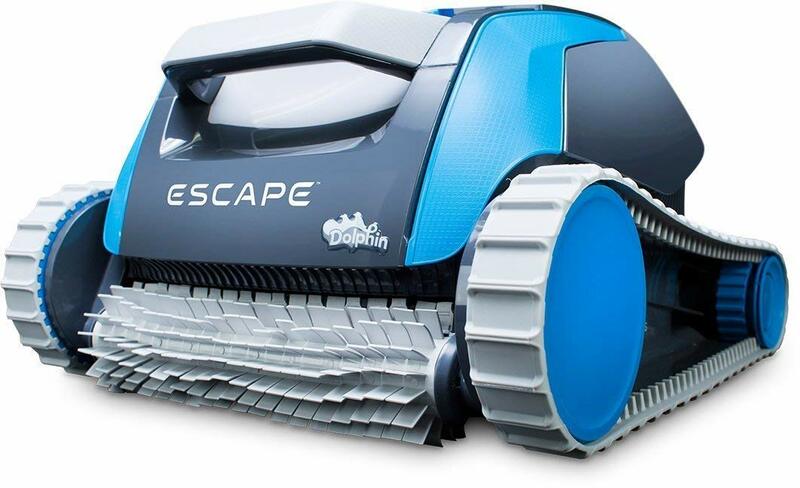 The Dolphin Escape is one of the best robotic cleaners for above ground pools. With advanced features and lightweight design, this unit is simple and great to use. Meet the remarkable Dolphin Escape – the best above ground pool vacuum in this price range. Affordable, reliable, and easy to use, this unit will clean your pool in the best possible way. The CleverClean Technology is responsible for reliable and smart scan of the entire pool, and also for finding the most efficient route to clean the pool. Just like the Dolphin Premier, this unit is also energy efficient, with 24 Volt DC motors. HyperBrush scrubbing and Hypergrip Continuous rubber tracks fight stubborn algae, debris, and tough dirt on the bottom of the pool. The Advanced filtration system ensures that fine and rough debris are safely separated so that the unit doesn’t clog. Thanks to a large filter cartridge, the pool cleaner can hold 60% more dirt and debris than its competitors hence it can clean for longer without you having to empty it and slow down the cleaning process. Weighing only 9.88 pounds, this above aground unit is much lighter than its in-ground pool cleaner friends. This makes it easier for carrying around, and of course, for pulling it out from the water. Also, you probably don’t have to buy a caddy for this one. What we don’t like about this model is that it doesn’t come with a timer. This means that you cannot set up a weekly schedule. Another slight problem is that there is no remote control. Still, this doesn’t surprise us considering the affordability of this robotic pool cleaner. The 9550 Sport is a pool cleaner that takes its job seriously and won’t stop until it’s finished. It will clean the entire pool, and all pool surfaces, so clean and clear water is guaranteed. The Polaris Sport may be expensive, but it packs a lot of features, making it the best pool vacuum for anyone who wants to spend their money wisely and get a top-of-the-line product. The Sport features innovative Vortex Vacuum technology that provides 25% more power and 4 x more debris capacity. Moreover, Aqua-Trax tires enable the vacuum to tackle any pool terrain, clean the walls, stairs, and waterline as well as to reach tight corners of your pool. This unit is great for in-ground pools up to 60′ in length. This model is unstoppable, and we don’t exaggerate when we say that. 4-Wheel Drive maneuverability will prevent the 9550 Sport from getting stuck and help it move forward until the job is done. And when it’s done, just press the button and the cleaner will climb up to the surface, so you can easily pull it out. a caddy for easy transport. When the 9550 Sport leaves a few spots behind, you can fix it with remote control. You just need to point and direct the unit to the desired spot and it will go back and clean it. However, there are a few downsides. As it turns out, a Tangle-Reducing Swivel cable isn’t so efficient. It tends to get tangled from time to time. Also, the remote control isn’t very responsive. All in all, the TigerShark Plus is a good choice if you have a pool of regular shape and don’t mind that the cycle lasts a bit longer compared to certain pool cleaners in the same price range. The TigerShark Plus is an energy efficient, and powerful cleaner that will keep the water in your pool clean, clear, and healthier. 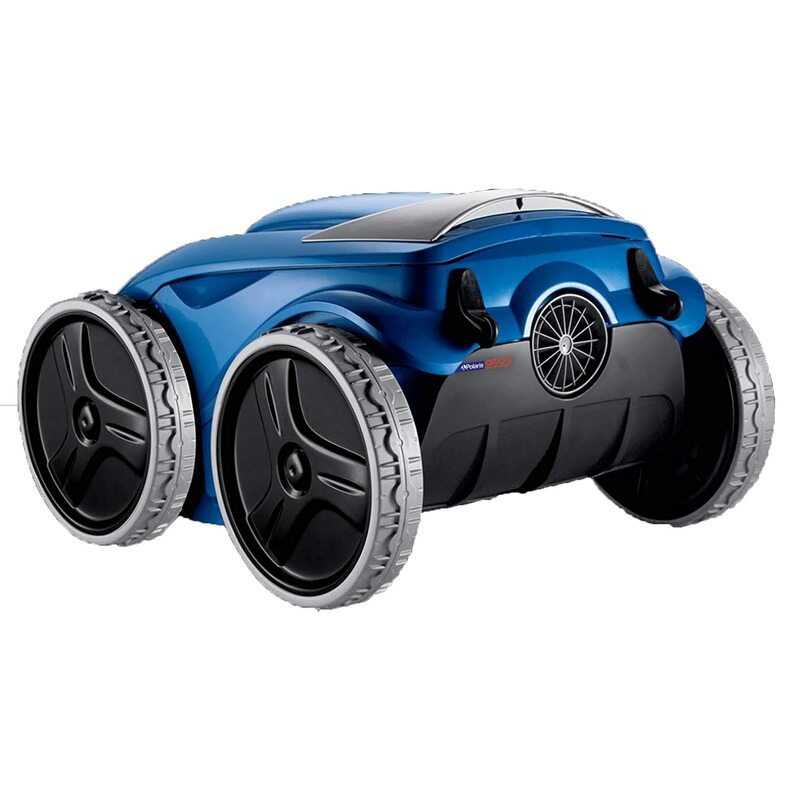 Its features are similar to those of other best robotic pool cleaners on the market. 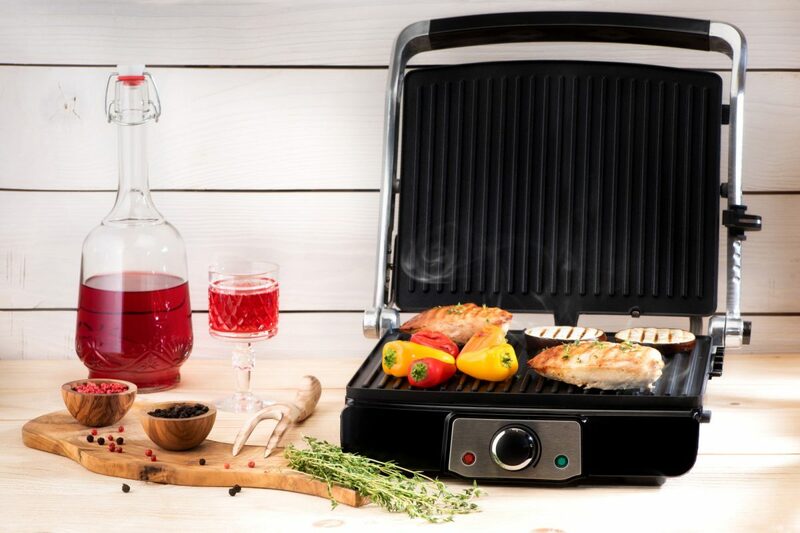 The TigerShark Plus has an efficient 24-volt motor which means that the energy consumption is decreased by up to 50%. The microchip technology ensures the pool is cleaned in the best way, so that coves, stairs, waterline, floor, and the walls are perfectly cleaned every time. Pumping about 80 gallons of water in a minute, the TigerShark Plus also filters the water, leaving your pool water healthier. The cleaner has a standard 3-hour cleaning option and remote control for fast spot cleaning. Rubber brushes and the filters will tackle all kinds of dirt and are especially useful for eliminating leaves from your pool. This TigerShark Plus is suitable for all pool surfaces, but, it doesn’t work well in the pools of irregular shapes that have lots of curves and slopes. In this case, you might want to take a look at the Dolphins that we mentioned above. Also, the unit seems to get confused in the deep, dark parts of the pool so keep that in mind. Considering the robotic pool cleaners are expensive, it’s important to buy the one that is built to last. And you get that with the TigerShark since it is sturdy and also comes with a 3-year warranty. The Pentair Prowler 830 is a good choice for homeowners who want an easy to use, reliable and versatile automatic pool cleaner. The Pentair Prowler 830 is an automatic pool cleaner, designed for in-ground pools. It does a good cleaning job, but it also has a few drawbacks. Let’s get into details. The Prowler 830 is designed for all types of pool surfaces and for pools up to 20′ x 50′. The advanced design with a filter cartridge, rubber tracks, and a rubber brush make the pool cleaner stable and powerful enough so that it can scrub, vacuum and filter your pool. The 60′ power cord is swiveled and the unit has an auto-reverse feature so the pool cleaner won’t get stuck in the middle of work. Floors, walls, waterline, and steps – it cleans everything in less than three hours. The Prowler 830 is simple to use thanks to a wireless remote for easy control, and a cartridge indicator that lets you know when to empty it. In addition, the filter is easy to remove and clean. Another feature that makes this model easy to use (and convenient) is a weekly timer. It lets you program the Pentair so it can operate even when you aren’t at home. There is something we don’t like about this model – the weight. Weighing 45-pounds, the unit is hard to lift from the water as well as to carry it from the house to the pool. This pool vacuum cleaner is the heaviest model on our list, but it does come with a caddy. Another issue is when you pull the pool cleaner out of the water some dirt will go back to the pool. The best way to handle this is to be very quick when removing the unit from the pool. Overall, the Aquabot Hybrid does a good job of cleaning the walls and floor, and won’t disappoint. It also comes with a 2-year warranty, for peace of mind. It does have a few flaws, but considering the low price, it’s understandable. 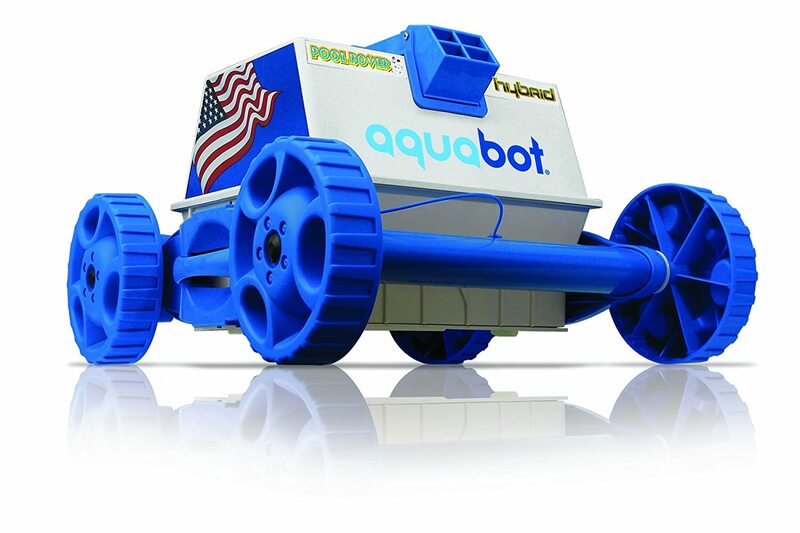 If you’re looking for a simple and basic pool cleaner for your above ground pool, the Aquabot may be just what you need. Affordability and good cleaning performance make this unit the best pool cleaner for above ground pools up to 40 feet in length. The Hybrid has an independent filtration system and precise navigation for fast and thorough cleaning of your pool. A 34-quart maximum capacity microfiltration bag filters small and large debris, including algae and leaves so your pool will be much cleaner. This minimizes the use of chemicals and shock. 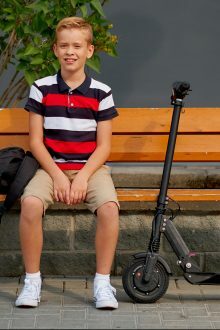 The Hybrid operates on 24V motors and features free spinning wheels that guarantee consistent results. 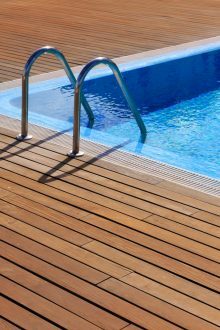 It can handle different types of pool surfaces – vinyl, concrete, gunite, tile, and fiberglass. Customizable forward and reverse time settings contributes to a faster cleaning, so this unit can clean an above ground pool up to 40′ in one hour. The robot is pretty basic, and only cleans walls and floor, but it does that well. You will have to get some scrubbing and cleaning yourself especially if you have steps and coves. However, this robot will do the hardest part of the work for you. What we don’t like is that the cable tangles often so expect to assist the robot in the middle of the work. However, the low price justifies all this. There is one more downside, namely, the Hybrid can get confused sometimes and when this happens you’ll probably have to restart it. We wrote this short guide for all the starters out there, and those who need to refresh their knowledge on robotic pool cleaners. These are the things you want to pay attention to in order to get the best robotic pool cleaner for your needs. 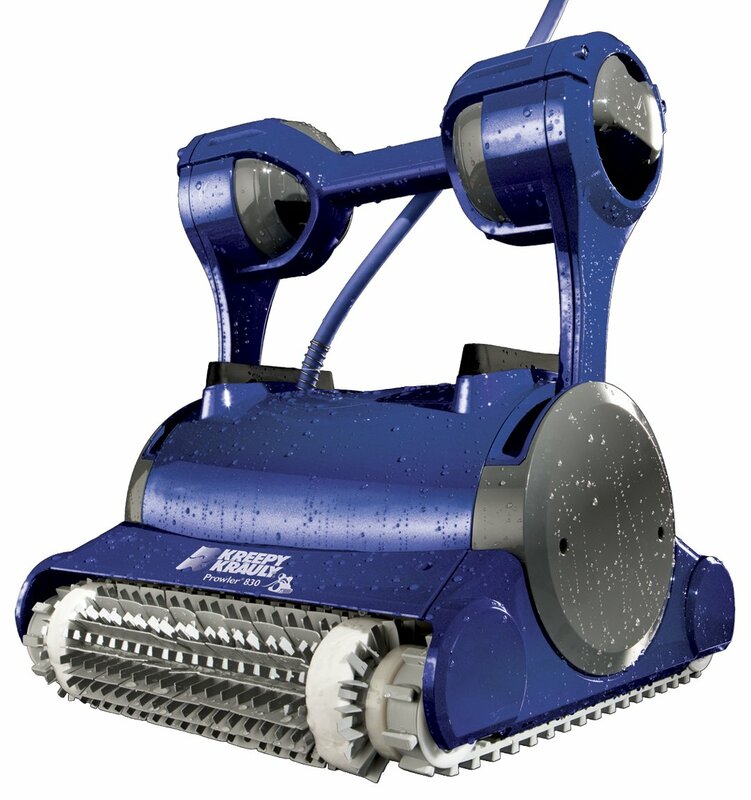 Robotic pool cleaners can be designed for use in in-ground pools, above ground pools or both. 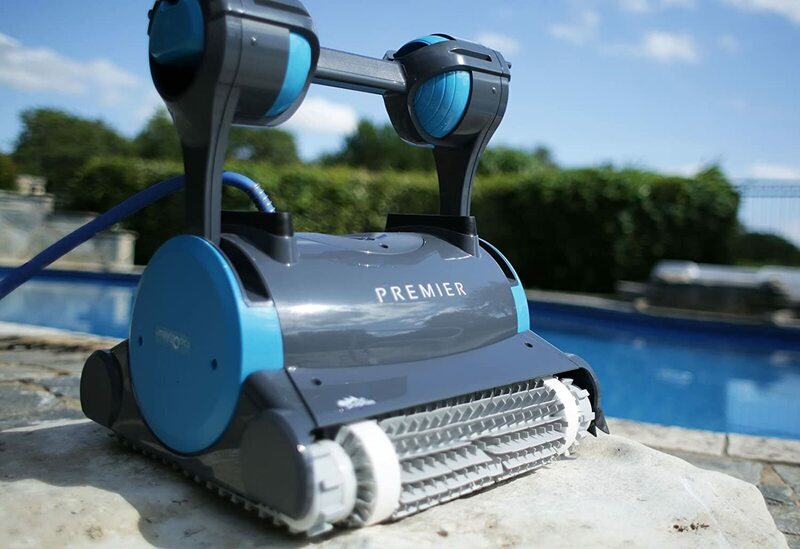 Above ground, robotic pool cleaners are lighter and more convenient than in-ground pool cleaners. However, in-ground cleaners are more powerful and also come with more features. Of course, the price is higher. It’s important to buy an electric pool vacuum that is suitable for the type of pool you have otherwise the unit won’t perform as supposed to. When people first hear the words “robotic pool cleaners”, they imagine these units are extremely complicated to use. Compared to other types of pool cleaners that need installation, robotic cleaners are much easier to use and are also ready for use right out of the box. 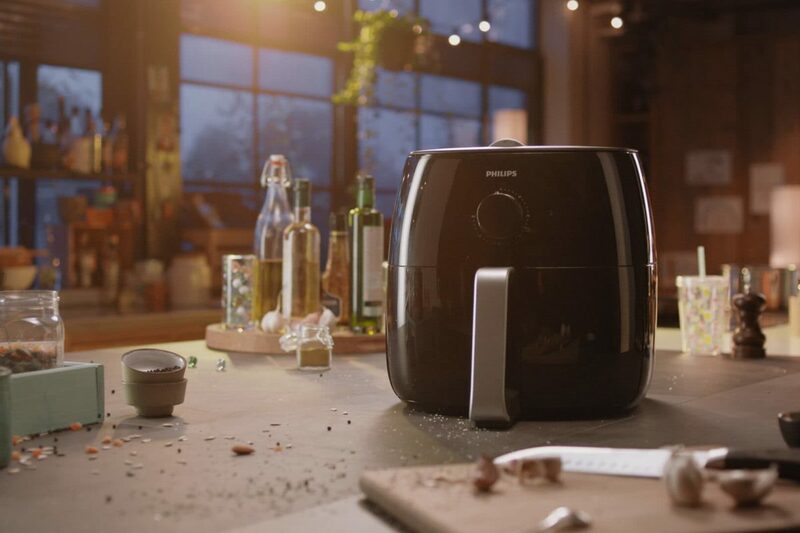 When you choose a good robotic cleaner, you’ll enjoy its simplicity and efficiency. You’ll only need to plug it in, spread the cable across the pool as recommended, and gently submerge the unit into the pool. Then, choose a cleaning method and relax. With a good quality robotic cleaner, changing filters and emptying filter basket is also simple and fast. It’s not like the ease of use means something if a robotic cleaner doesn’t do a good cleaning job. Let’s be realistic here – finding a model that will clean EVERY single spot of a pool is impossible. However, finding the best robotic pool cleaner that will do most of the pool cleaning for you is possible. 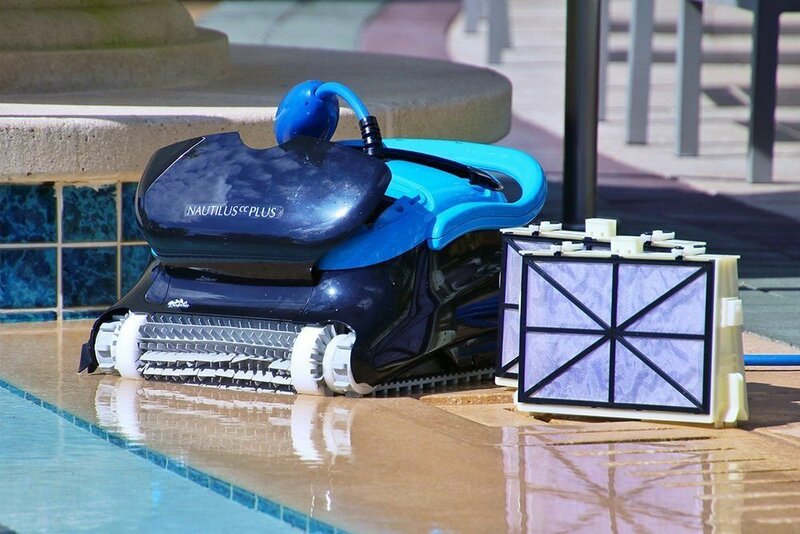 Robotic pool cleaners are made to clean floors and collect leaves and debris. This means that any good robotic cleaner can handle this. But, the weak point of many models is cleaning hard-to-reach corners steps, and walls. We suggest you choose a model that at least can perform basic functions, and climb the walls (and stay there until it is done with cleaning). Any top rated pool cleaner that is designed with high performance in mind will feature two types of filters. The first one handles leaves and large debris while the second one captures small particles, dust, and algae. Look for the model that can handle both types of dirt and debris because that’s a sure way of having a clean swimming environment. Another thing to look for is a large filter basket for collecting leaves, particles, algae, bugs, etc. Clearly, the bigger the basket, the less often you will need to empty it. Since your robotic friend will map out your entire pool for the most efficient route, you would want the one that comes with a swivel cable. 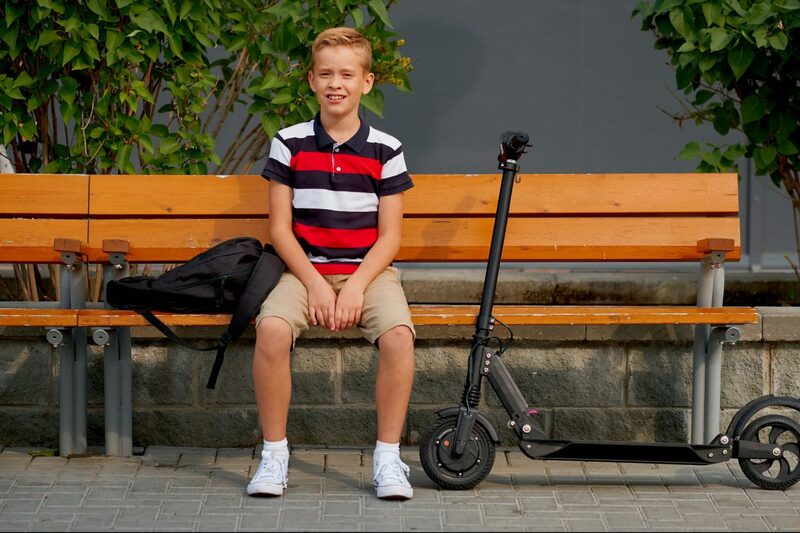 The swivel cable will help the unit to move freely without getting tangled so you won’t have to babysit it. Also, the cleaning process won’t be slowed down. Finding the best robotic pool cleaner for your pool will make a big difference in how clean, clear, and healthy your pool is. You’ll save time and money whereas your pool won’t need as many chemicals as before, making it a much healthier swimming environment for your family. We gave you 7 best pool cleaner reviews, so that you can see what the market has to offer you. However, the robotic cleaner that deserved our Editor’s choice label is the one and only Dolphin Nautilus CC Plus. This unit is all that a good robotic pool cleaner should be, and it has made numerous pool owners happy. Perhaps you will be the next one.